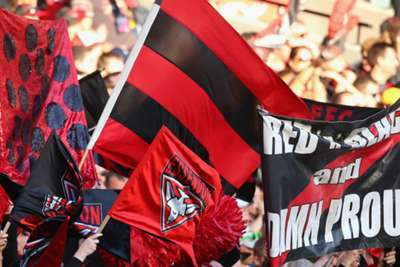 The Australian Sports Anti-Doping Authority (ASADA) will not appeal the AFL Anti-Doping Tribunal's decision to clear 34 current and former Essendon players. The tribunal, chaired by David Jones, were unanimous in not being "completely satisfied" that the AFL club's players were administered Thymosin beta-4 or violated the anti-doping code during the 2012 season. However, the World Anti-Doping Agency may yet appeal the findings. "As with all other decisions I have made in these matters this decision has largely been informed by comprehensive legal advice," ASADA chief executive Ben McDevitt said in a statement on Monday. "I am conscious that ASADA does not have a direct right of appeal to the Court of Arbitration for Sport [CAS] and the only appeal avenue open to ASADA at this time is to the AFL Anti-Doping Appeals Tribunal. "I am also aware that appealing any of these decisions within the AFL framework would ultimately serve only to delay consideration of these matters by the World Anti-Doping Agency [WADA]. "I have therefore arranged to provide the entire case file encompassing all 35 matters to WADA for its independent review. This is in accordance with global anti-doping protocols. WADA will then be able to make an independent decision as to whether to exercise its appeal options. "ASADA will support any WADA initiated appeal in relation to these matters. "In the interests of transparency, I would welcome the fullest possible release of the Tribunal’s findings and reasons on all of these matters." ASADA has also ruled out appealing the findings against Stephen Dank, who was found guilty of 10 breaches of the anti-doping code.